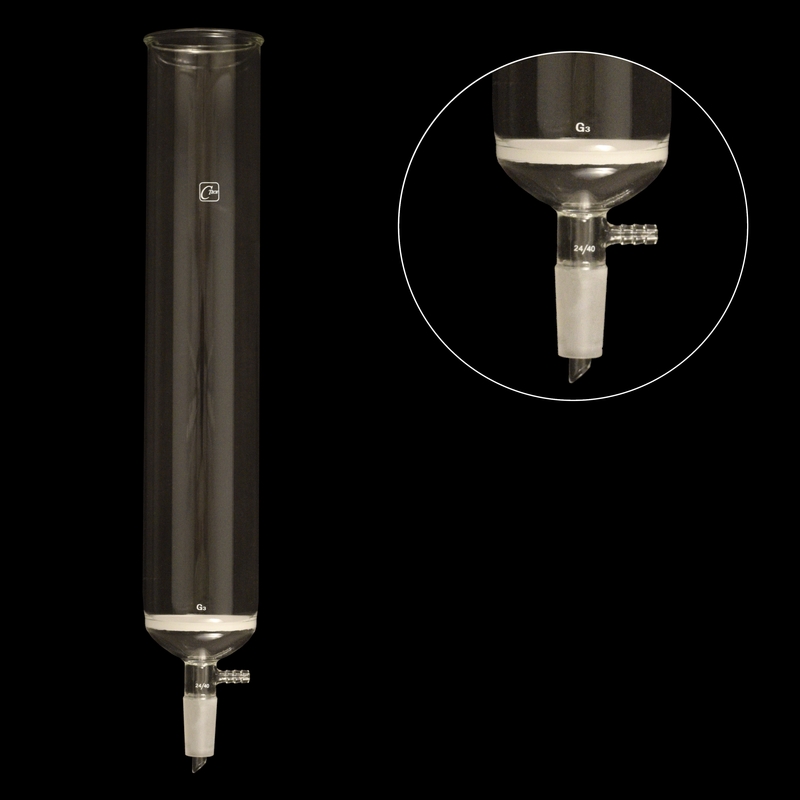 Borosilicate glass column / funnel. 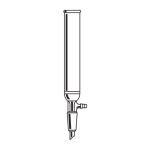 For performing quick separations using a vacuum source. 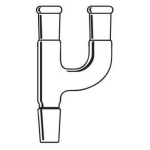 All funnels have a lower standard taper inner joint with a sealed-in drip tip and an outlet for connection to a vacuum source. ID 2 1/2in. Length 12in. Inner joint 24/40. Medium Porosity (G3). ID 3in. Length 16in. Inner joint 24/40. Medium Porosity (G3).